How has your week been? It is Monday the 11th of June as I write this and I just spent a beautiful weekend with my family and I'm finally feeling recharged after a super hectic week at work. Today I decided that it was time for a more colourful look because I have been doing gold and bronze looks for a while now. 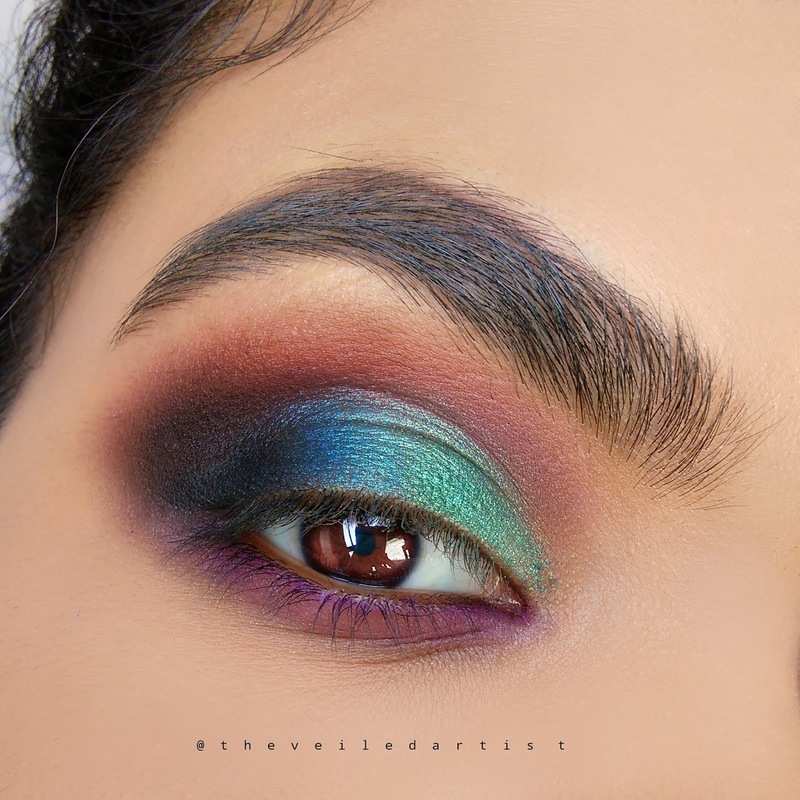 So I created this super dramatic green shimmery smokey eyes with a pop of purple and blue so let's get started! 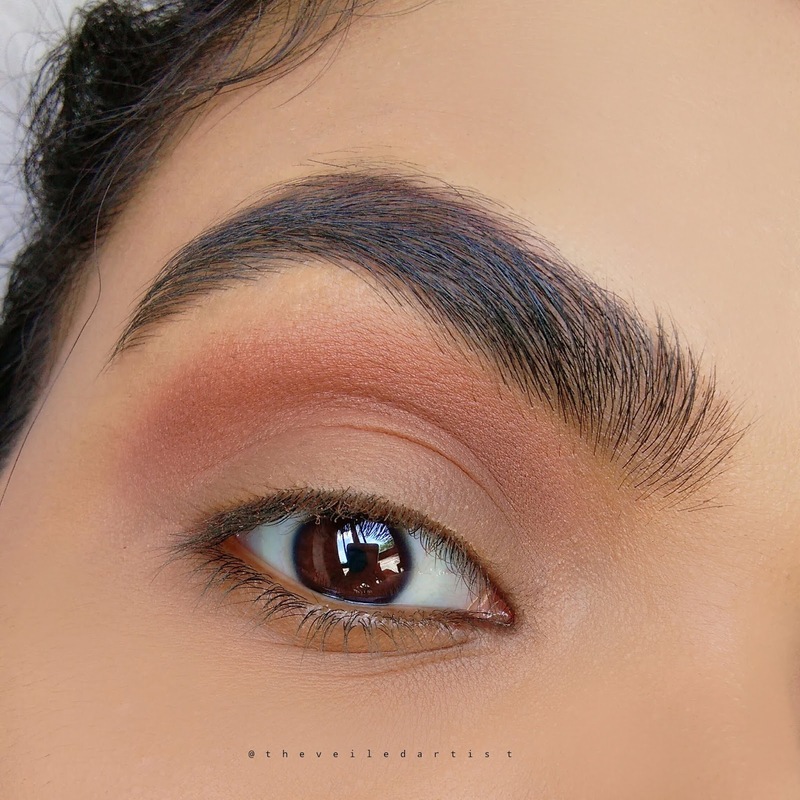 Blend the warm matte brown shadow into your crease and a little above it. This will serve as our transition shade because purple can be a little hard to blend out. 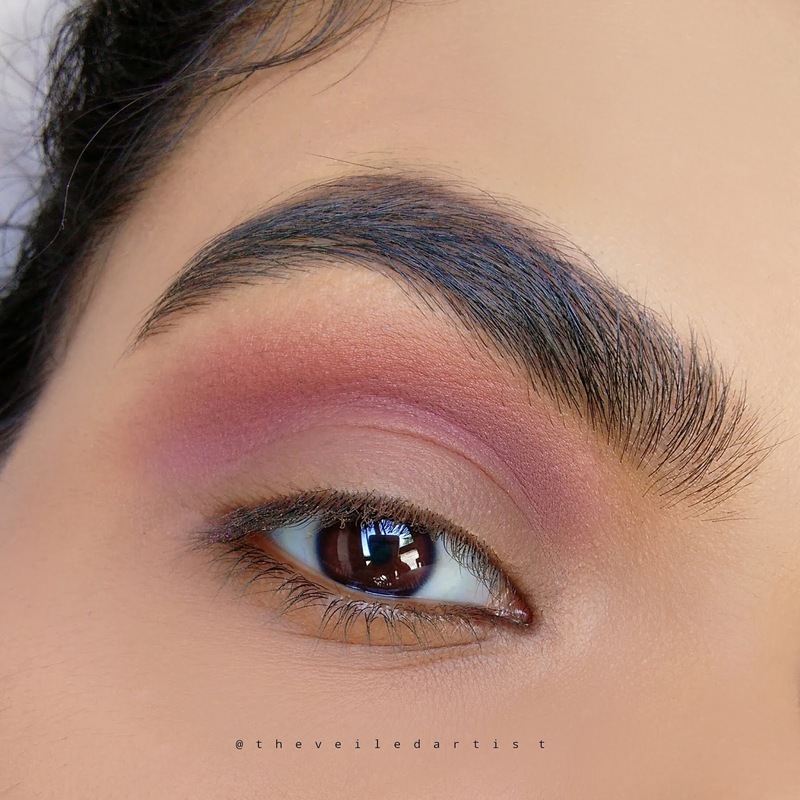 Blend the light purple shade into your crease above the warm brown we just applied. Next, apply the green shimmery eyeshadow onto the center of your mobile eyelids and blend the top edges out into the purple in the crease. Pat the shimmery blue shadow onto the outer 1/3rd of your mobile eyelids and blend it slightly into the green we just applied. 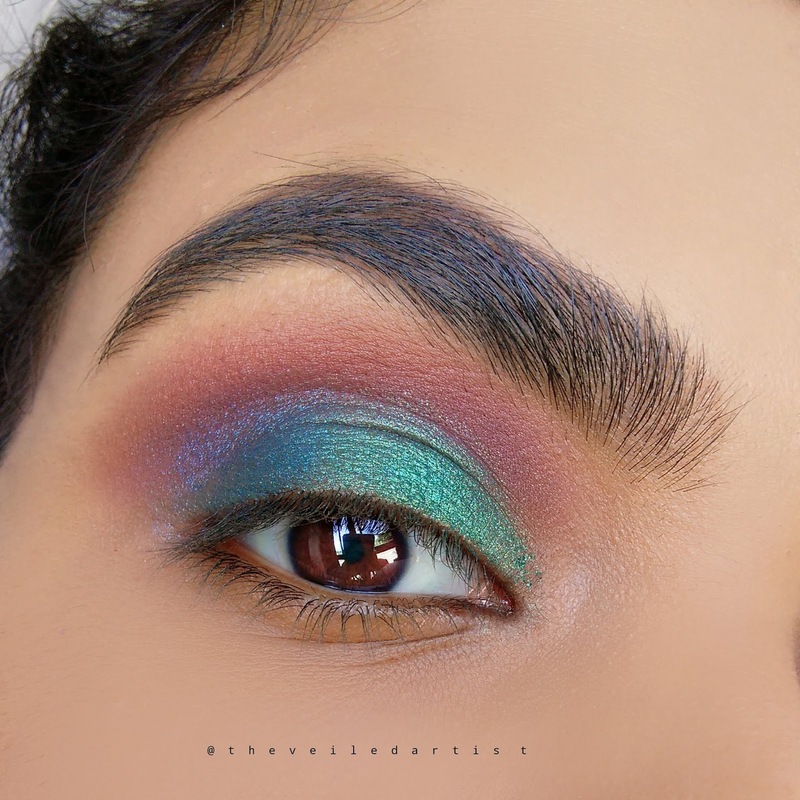 Using a pencil brush or any small blender brush, blend the medium matte purple eyeshadow all along your lower lashline, joining it with the blue in the outer corner as shown below. 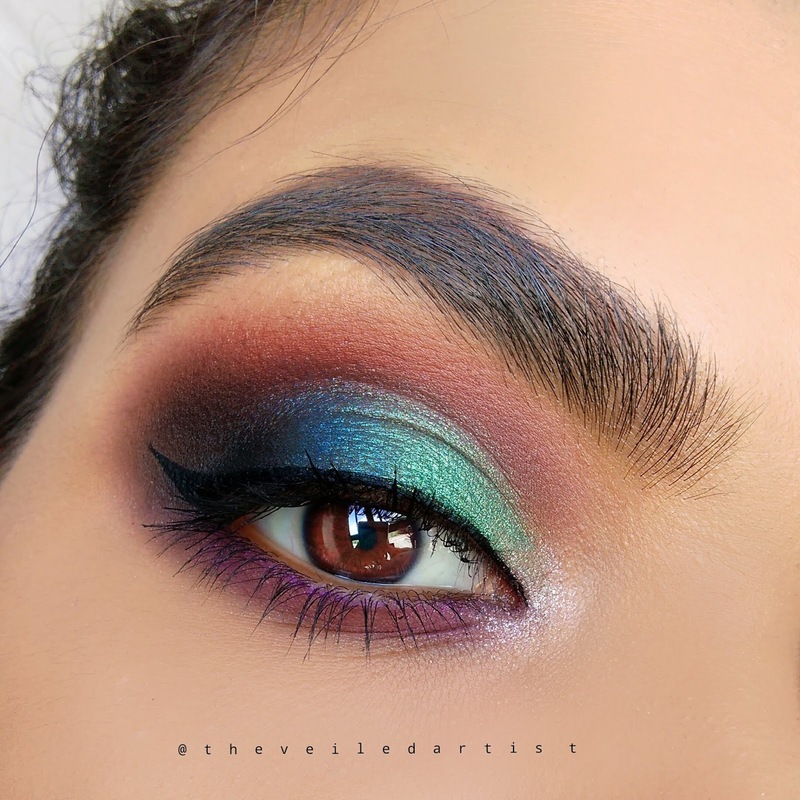 Blend the matte black eyeshadow into the outer corners of your eyes in a C shape and blend it slightly into the blue shimmery shadow. 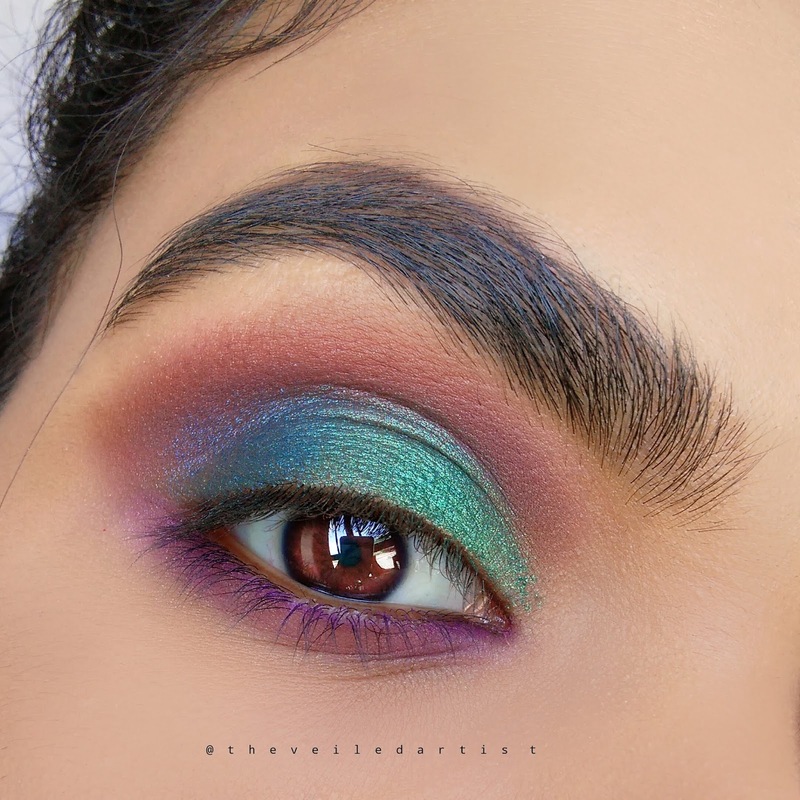 Pat some white shimmery eyeshadow into the inner corners of your eyes and blend it into the green on the eyelids and purple on the lower lashline. Do your winged liner and apply mascara. 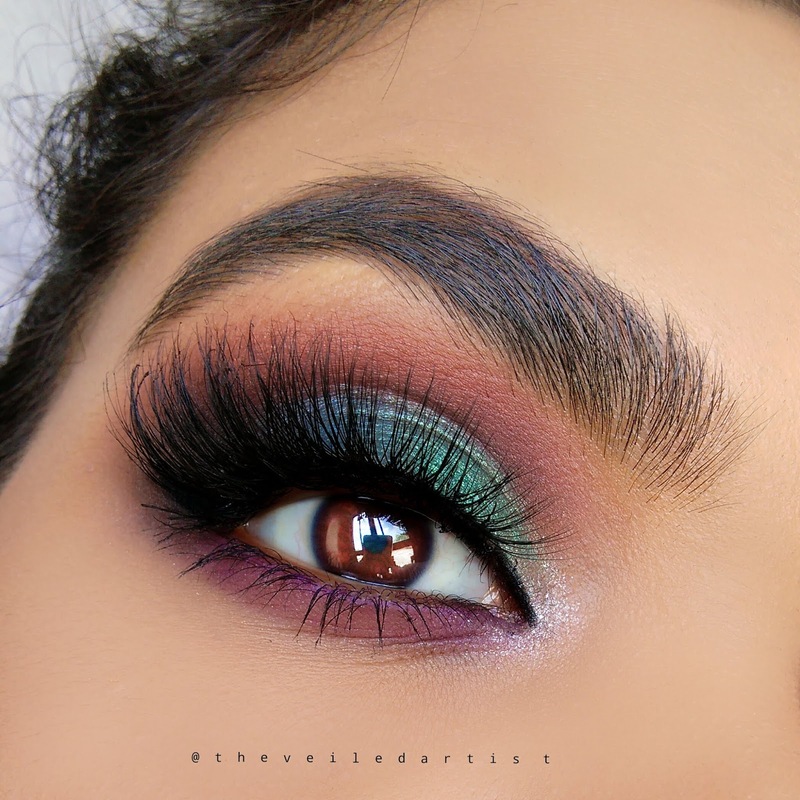 Pop a wispy pair of lashes and you're done loves! 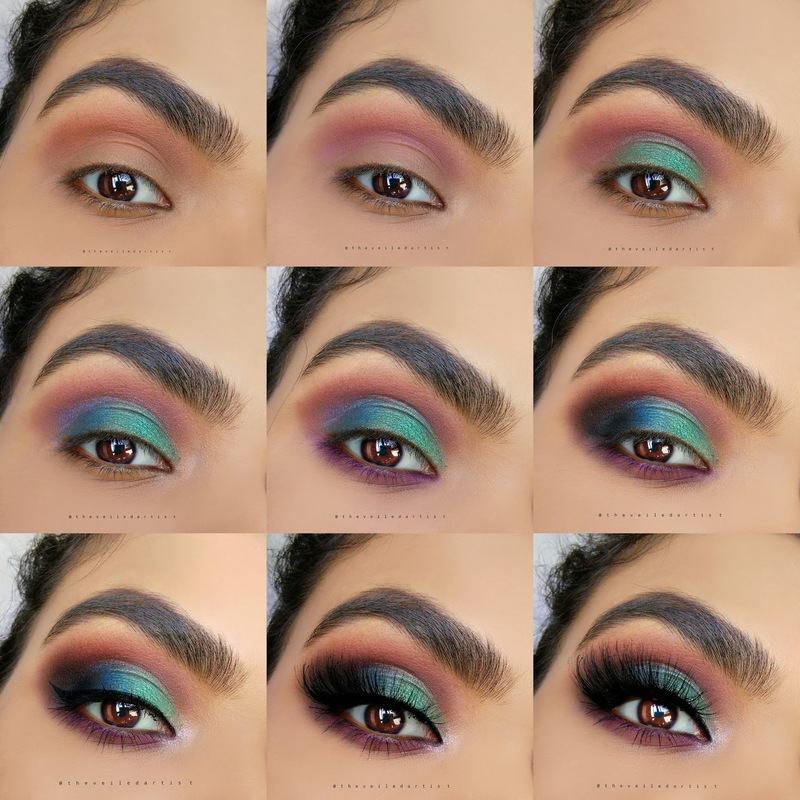 Scroll down to see the full list of products I used and the pictorial! 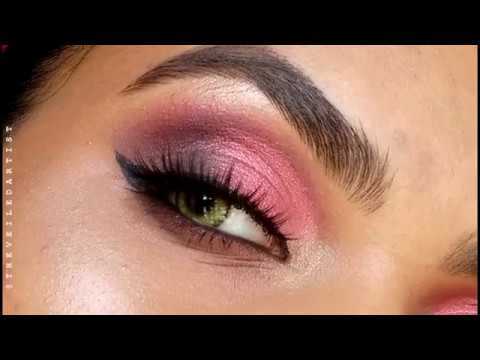 Thank you so much for reading my loves and I hope you enjoyed today's tutorial and try to recreate it! You can check out my last post here(I tried recreating Hailey Baldwin's Met Gala 2018 look) and my last tutorial here(it was on glittery gold smokey eyes perfect for prom)!